Give your Start Screen a personal and customized touch and create tiles in Windows 8 that give you quick access to your favorite apps. In our help to Start Screen article we have already made an introduction to the Start Screen and its use. This text concentrates on how you can benefit from various new options and opportunities. For example, if you haven’t already done so, create a customized weather tile or a live news application tile in order to stay up to date, also create tiles for frequently used applications like Microsoft Office and Skype. We provide you with a guide to all of these options. Click on the 1 bottom left arrow to go to the Apps page. Right Click on the apps that you want to add to your home (you can select more than one application in order to pin all at once). You will see a command bar at the bottom of the screen. Select 2 “Pin to Start” to attach the selected apps to your Start Screen. You now have access to the selected programs from the Start Screen. 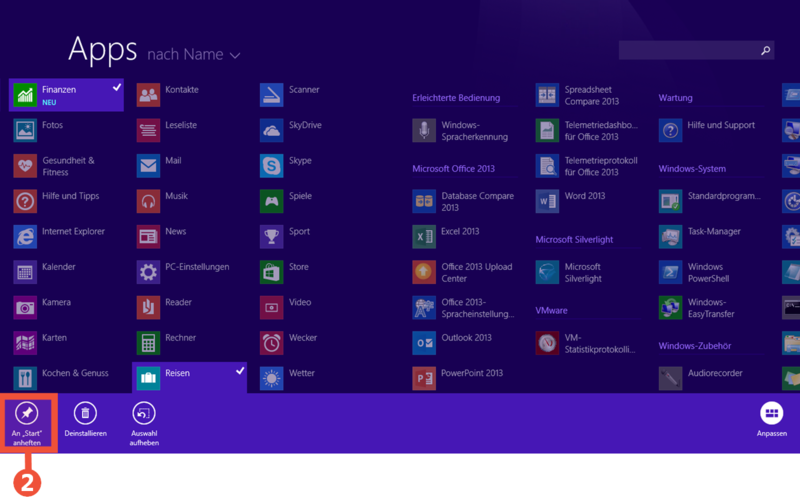 Pin tiles to your Start Screen through Windows 8 for faster access to important apps and to increase your productivity. 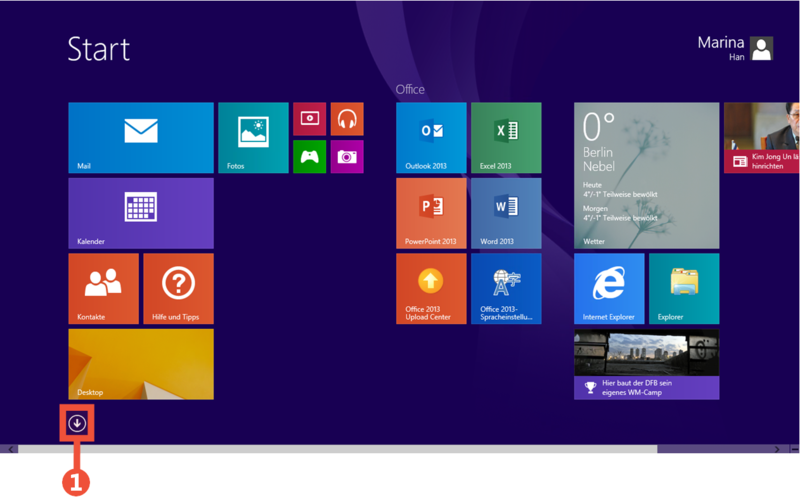 Simplify your everyday life by exploring the many ways Windows 8 makes everything easier. DarWin8 will help you; just use the free trial version from the Windows Store!